According to a senior Google engineer on the Android OS team, the next iteration of the Android mobile operating system will be coming soon and it will be called Froyo – named after frozen yogurt! The Google engineer team has been naming big releases after desserts in alphabetical order, after Donut, Cupcake and Eclair. 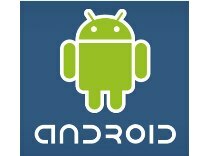 I found this news release at thesearethedroids.com, and the information did say whether then new release will be Android 2.5, Android 3.0, etc… the news was just that a new version of Android was set to be released soon. They also did not provide any information as to what might be featured on the new Android OS.